» Husqvarna 128LD String Trimmer Review: Why is this one of best weed whackers out there? 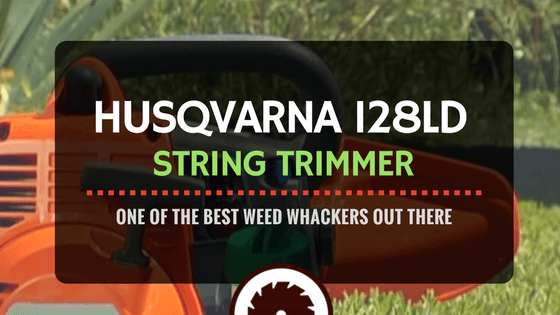 Husqvarna 128LD String Trimmer Review: Why is this one of best weed whackers out there? If you just bought a home, you may have come to the realization that you need a string trimmer, more commonly known as a weed whacker. 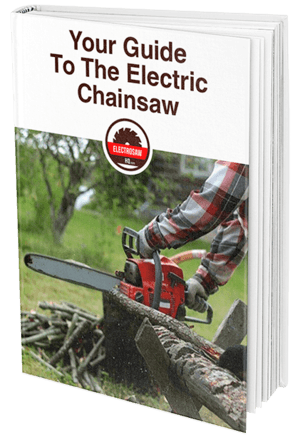 There are many types of string trimmers out there, and we've reviewed them all here at ElectroSawHQ. Depending on the size and type of lawn you need to maintain, you'll need less or more power, and fewer or more features. Husqvarna sells one of the most versatile string trimmers on the market today, and I just had to write a review on it to see just how it compares to other, similar-quality string trimmers. Jump into our Husqvarna 128LD review to find out how it ranks against the competition. The Husqvarna 128LD has a two-stroke engine that requires 100% gasoline without ethanol; you can buy the Husqvarna 128LD fuel mix for this purpose. Its shaft is straight and detachable, making it great for trimming and clearing brush. It is relatively quiet and vibration-free when operating appropriately. 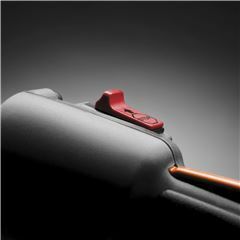 It also comes with several attachments, including the Husqvarna 128LD edger attachment and Husqvarna 128LD trimmer head. It also has ample coverage due to the convenient Husqvarna 128LD string size. Overall, the Husqvarna 128LD gets the job done. It is easy to start and restart and is very powerful while being surprisingly quiet. Furthermore, users report that it does not seem to vibrate all that much while working. 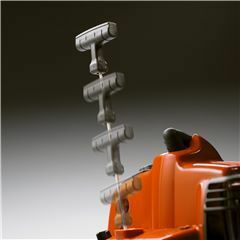 Additionally, it features several attachments including a Husqvarna 128LD edger attachment that makes it very versatile. Although it is listed at 13 pounds and it might be a bit heavy for beginners, it does seem to handle with ease and is powerful enough for a tough trimming job. Some users have reported problems with rough handling that seem to be solved after adjusting the carburetor. If you want to have a look at our complete guide on how to select the perfect weed eater for your lawn, click here. The Husqvarna 128LD string trimmer sports a sturdy and well-designed build. 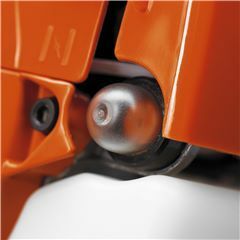 However, it does have a plastic coupler of the split shaft that seems to wears out over time, making it hard for the attachments to stay attached to the unit. The look and design are very nice; however, it does not come with a shoulder strap or harness, making it a bit uncomfortable to use for jobs that require more time. With the attachments included, this product is very versatile and well worth the money. It seems to live up to the Husqvarna reputation. The Echo SRM-225i Commercial Grade String Trimmer has a 21.2cc engine and is great to use around the home and garden. It comes with a pre-installed with a SpeedFeed trimmer head and weighs about 14 pounds. Equipped with a robust skid plate and easy service access points this is great for a yard and home where tall grass grows. Its switch between the two settings is not as easy to stop as the Husqvarna’s, but overall, this tool gets the job done; although it is a bit pricier than the Husqvarna and some of the other string trimmers. Hitachi CG23ECPSL is a great trimmer for beginners or for those who have homes that only require very basic trimming and edging jobs. Weighting at 10 pounds, it is lighter than the Husqvarna and has a 22.5 cc PureFire two-stroke engine that does not cause a lot of vibration. This trimmer is also much less expensive when compared to the Husqvarna, and is 69.6" in overall length, making it very easy to use. It does not come with additional attachments so it is not as versatile as some of the other trimmers, but it can be turned sideways to be used as an edger. Lastly, it has a very large skid plate that is comparable to that of some of the more expensive trimmers. 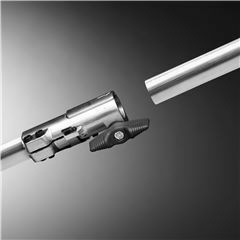 The Tanaka TCG27EBSP is a straight shaft trimmer that is on the higher end and is very similar to the Husqvarna. This trimmer has a powerful 26.9 cc engine that is two-cycle and equipped with padded handles and a steel shaft designed to reduce vibration. 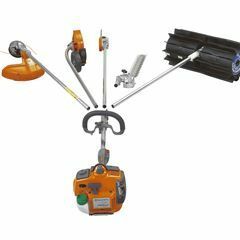 We'd confidently say this trimmer is suitable for professional landscapers, as it is very powerful and can handle tough jobs. It is also equipped with several Husqvarna 128LD attachments making it very versatile. The killswitch is awkwardly placed, but beyond that, this is a great trimmer. This trimmer is more expensive than the Husqvarna and most of the trimmers that it is comparable to.